Following the disastrous Modernization Plan in the mid 1950s, steam evaporated from the United Kingdome in one fell swoop. In the space of only a few years, virtually every steam locomotive in the country was removed from the mainline and replaced by newer and ostensibly more efficient diesel locomotives. Photographs from the aftermath depict dozens upon dozens of steam locomotives crowded into scrapyards, awaiting the torch. Steam ended in the US had ended in a more piecemeal fashion, as the railroad companies there were privatized, not run by the state. By the early 1960s, though, virtually every steam locomotive had been withdrawn from active service*, baring tourist railroads and a few engines owned by industrial plants that lacked the funds to modernize. Elsewhere, even the countries most severely affected by WWII managed to mostly dieselize by the 1970s. 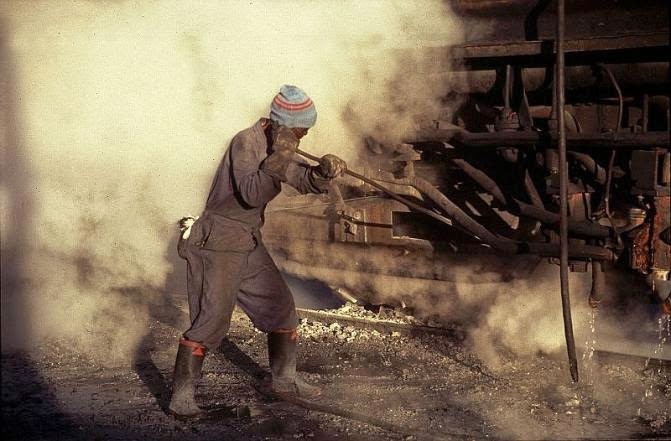 Locomotive owned by Handan Steelworks, in Hebei, China, in 2002. 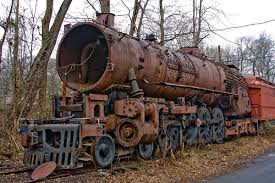 What many people may not realize--even those who mourn the replacement of steam locomotives in almost the same way one would mourn for deceased friends and relatives--is that in less industrialized nations, mainline steam persisted far longer than it did in the Western hemisphere. Countries such as Cuba, China, Java, Poland, and India. ﻿﻿For nations such as these, the coming of the diesel locomotive was a boon. 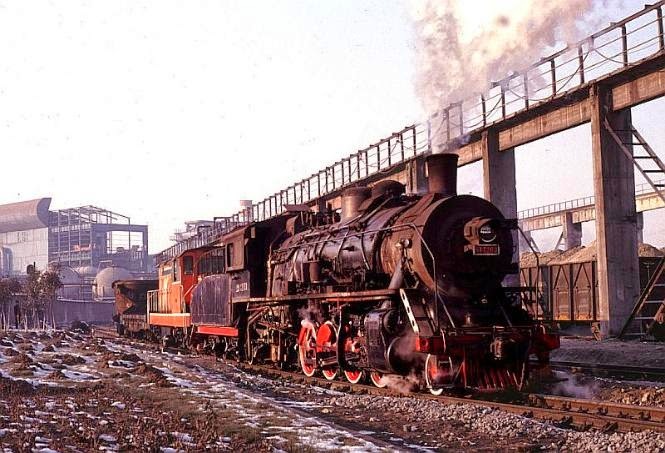 The steam locomotives that were not sidelined or scrapped were put up for sale at a fraction of the price they would have fetched when they were without competitions. 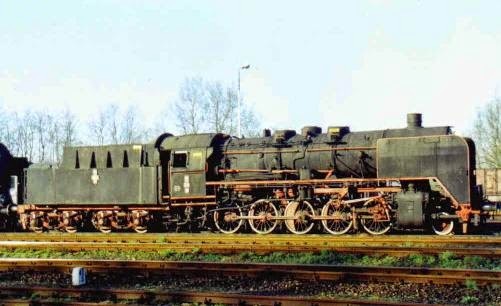 The latest generation of these locomotives, built in the 1940s and late 1950s, were technologically outdated but still had many working years left in them--some of those designed in the UK had been intended to last almost to the 20th century. Many of these locomotives lived up to, or even exceeded, their intended lifespan. 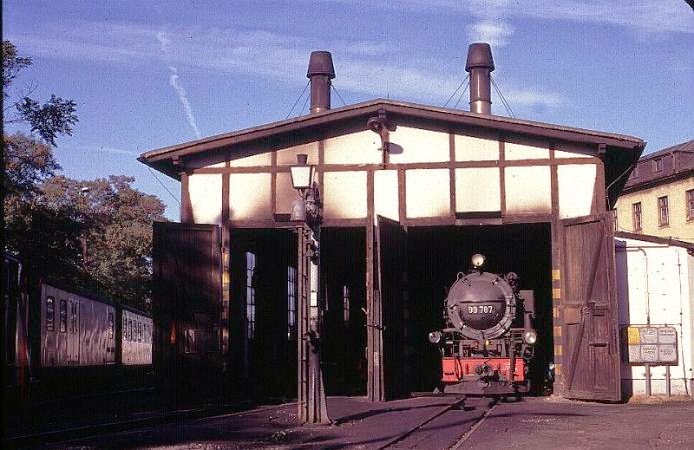 In some places, mainline steam remained common until the early 2000s. This is strikingly recent: Even as we looked to the bullet trains in the most well-to-do regions of China as the pinnacle of rail transport, the hinterlands of the same country were still running on steam. Economic factors also kept steam on the mainline after several generations of diesel locomotive had been introduced and then been replaced by more modern models. The one benefit that steam locomotives possess over diesels is their ability to use, with varying degrees of efficacy, virtually any combustible material as fuel. 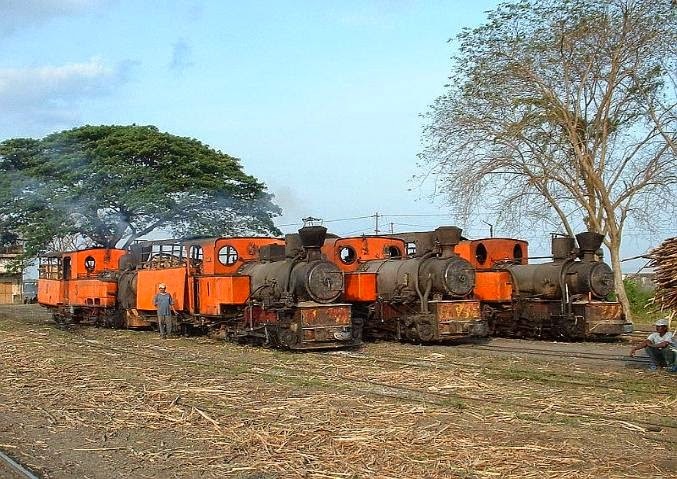 Railroads in countries that possessed a ready supply of cheap fuel, such as abundant dry stalks left over from sugar cane farming in Cuba, stood to loose money if they upgraded and then had to pay for a continued supply of diesel fuel. The isolated Jitong Railway in profile, by Jim Maurer. The Jitong Railway, on the China-Mongolia border, was situated much closer to coal mines than it was to any source of diesel fuel. Not only does it contend for the record for most recent use of steam mainline service--as late as 2005--some of its locomotives were built new in the 1980s. East German Republic, steam endured due to restrictions on trade and international tensions. In the present, most of these railroads have converted to diesels, but a few continue to operate steam for tourist excursions. 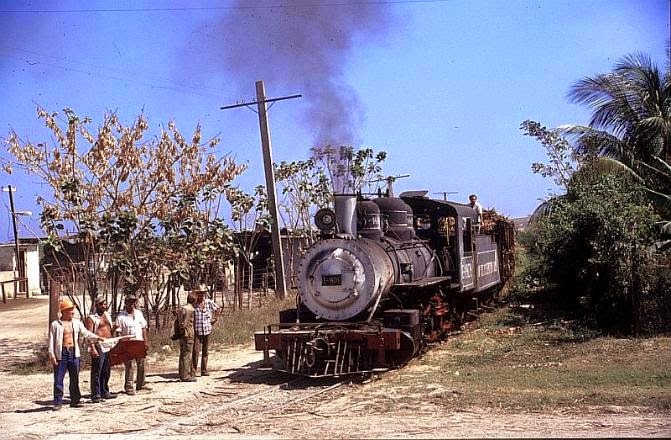 ﻿﻿﻿﻿﻿﻿﻿I have also seen a few pictures and videos of steam locomotives running in North Korea, but, as with everything else coming out of that country, are generally difficult to verify and research. German locomotive from Zittau, now relegated to tourist service. Previously, railfans with the money to spare could travel overseas for the rare chance to see steam locomotives operating in general service, but the 1990 through the early 2000s were a second, silent dropping of the fires. 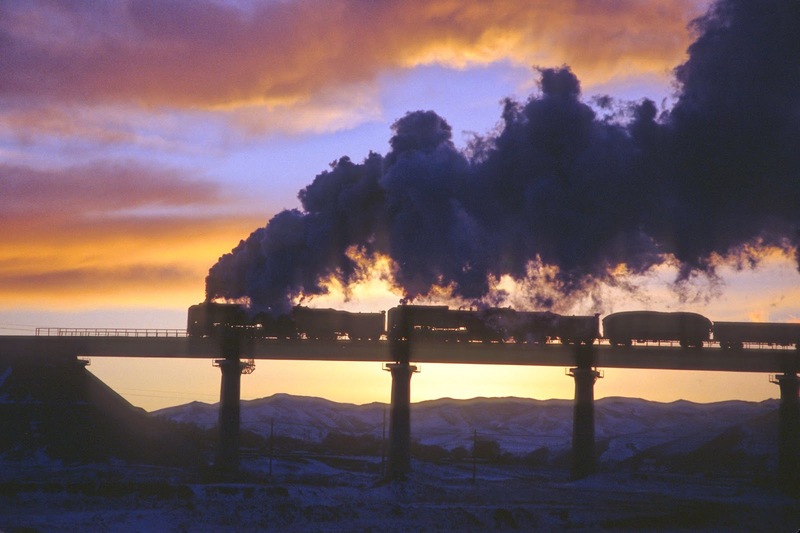 By 2014, most of the non-heritage steam locomotives have lived out their lifespans and have completely disappeared from the main lines around the world. *Except, of course, for this one!